The microbrewing movement reached Russia only several years ago. In the past few years, microbreweries, brew pubs and craft beer bars have sprung up in Moscow and beyond like mushrooms after the rain. The variety of beers and the number of pubs can be a bit overwhelming, so RBTH sat down with Dmitry Nam, the head barman of I Like Bar, to discuss What’s What and Who’s Who on the Russian craft beer market. Dmitry, could you please tell us when craft beer first really took off in Russia? In 2012, AF Brew, a microbrewery on Vasilievsky Island in St. Petersburg, presented its very first own craft beer. So we can consider that to be the year of the birth of Russian craft beer, and St. Petersburg is the de facto `cradle’ of Russia’s craft beer civilization. Who are the leaders when it comes to Russian craft beer? I would say that the following microbreweries are the leaders: AF Brew, Bakunin, Salden’s Brewery, and Victory Art Brew. Could you please briefly describe the different types of Russian craft beer and the differences between them? Russia produces light, dark, wheat and so-called “zhivoe” (“living”) beer, a type of unpasteurized or unfiltered beer with a short expiry date. The beer is classified according to the fermentation process. 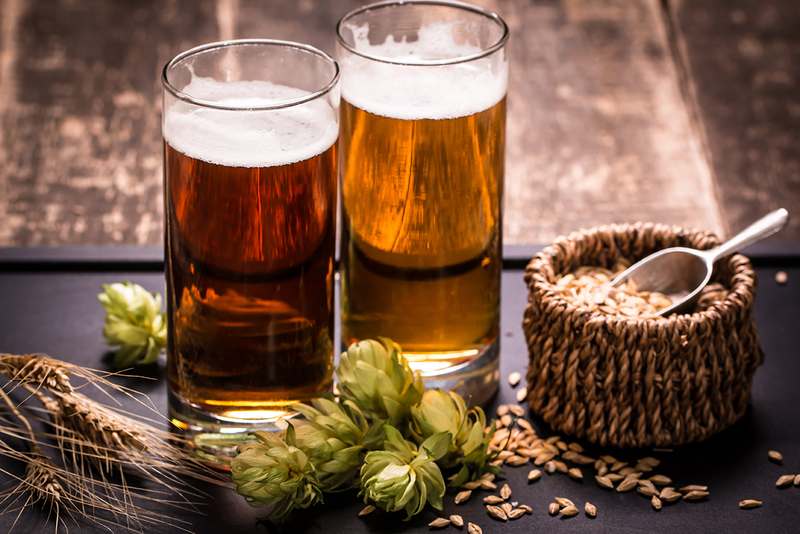 High fermentation beer is fermented with ale yeast in high temperatures (15-27 degrees Celsius). This is an ancient fermentation and brewing method. The low fermentation method, popularized by the famous Pilsner, is carried out at between 4 and 12 degrees Celsius. Then there’s hybrid beer, which combines the method, ingredients and technology of the high and low fermentation methods. Beer is also classified by color. In accordance with the Russian GOST, a regional standards organization operating under the auspices of the Commonwealth of Independent States, there are two types of beer - light beer and dark beer. The amount of heating that barley malt receives has profound effects on the sort of beer that will be brewed, as well as the beer’s color. How does Russian craft beer differ from foreign beer? The craft beer culture is still very young in Russia. Russian law stipulates that if you deviate even slightly from the standard beer recipe, such as add a spoonful of honey, then you must register it as a new sort. But craft beer is a signature drink, and every brewer is an artist and sees the beer in their own way. Which sort or brewery should a person start off drinking at if they’ve never had Russian craft beer? You can start with pale ale. It’s got a mild to medium malty taste and reflects the characteristics of American ale - citrusy and floral. Indian pale ale, a.k.a. IPA, is a hoppy beer style within the broader category of pale ale. A Barley Wine is a strong, top-fermenting ale with an alcohol content of at least 9% and up to 13% (or more). Expect intense fruits and hops for U.S. versions, and a balance between malts and hops for English styles. Russian Imperial Stout (RIS) is a serious stout, intensely dark, high in alcohol, syrupy, and bittersweet with excellent aging potential. I doubt that a person would enjoy a strong bitter taste when starting to discover new types of beers, so the best idea is to start with American Pale Ale and then make your way up the hops ladder. Did that make you thirsty? If yes, here’s a list of some tried and tested craft beer pubs in Moscow and St. Petersburg!